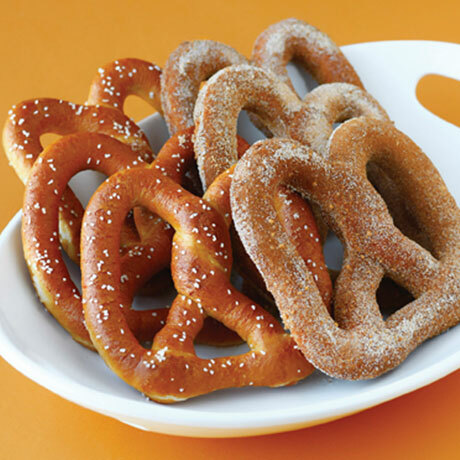 Make any combination of Original and Cinnamon Sugar Pretzels in your own oven! Serve warm with your favorite toppings and dips. A great treat any time of day. Eight 2.5-ounce soft pretzels, salt (enough for eight), cinnamon sugar (enough for eight).